Ancient Egyptians believed that the Pharaoh’s spirit could live forever and provide protection from all evils. As the head of the states and the commander of the army, Pharaohs set the gold standard for leadership in Ancient Egypt more than a thousand years ago. This iced pharaoh piece is for anyone wishing to take the legacy forward. 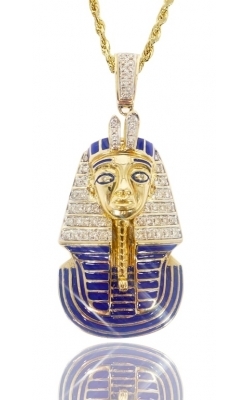 Meant for the real king, our iced pharaoh necklace is crafted to perfection. Each detail is applied with full focus and a matching chain is included to ensure that you look perfect.